Preceded by textiles during WWII, tobacco manufacturing in Durham, North Carolina peaked in 1958, twenty years before manufacturing jobs peaked nationwide. By the time I arrived here in 1989, all but one factory was gone and that closed a decade later. The poverty rate nationwide back when Durham’s manufacturing peaked was close to 23%. But it was 40% in North Carolina at the time and 33% in Durham. Research shows that communities lose 1.6 other jobs when they lose a manufacturing job. Poverty in Durham officially took root in the mid 1930s with the closing of the Durham Hosiery Mill nestled within the Edgemont neighborhood. Soon surrounding businesses also collapsed and unemployed workers were evicted or indebted by speculators who took over the mill housing. Only two decades before, that hosiery mill had been the largest in the world. 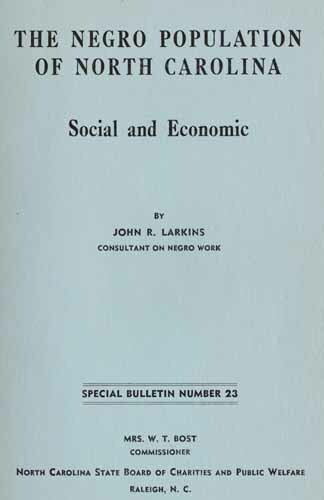 Sociologists here at Duke University, led by activist Dr. Howard Jensen, not only rushed to study the emerging poverty there but initiated a number of solutions still in use today. Among many of the initiatives, Jensen initiated the precursor to United Way, spearheaded a community center and did much more. Thanks to strategic foresight nearly four decades earlier, Durham had already begun adapting its overall economy to research, higher education, healthcare and hi-tech, but these were very different kinds of jobs. Following the Civil War, people could easily transfer skills from agriculture to working in Durham’s factories with little or no change in education. In 1860, on the eve of the Civil War, the area surrounding Durham was 30% African-American, a mix of free and enslaved. That proportion grew to what is today, 4-in-10, when after emancipation and war’s end, African-Americans relocated to Durham to work in its booming tobacco and textile factories, giving it 50% more diversity than the state as a whole. Today, that proportion is double what it is statewide, one of the reasons Durham is known for being “accepting,” and why it is still a beacon for new talent and the corporations relocating in pursuit. Many African-Americans drawn to Durham also started service businesses by the 1880s that accompanied each increase in manufacturing, eventually spawning Black Wall Street and a thriving African-American middle class here. While manufacturing had drawn African-Americans to Durham for jobs after the Civil War, the poor created by that benchmark mill closing in the mid-1930s were predominantly white. Dr. John Rodman Larkin is remarkable for many reasons. Poverty, especially among African-Americans, settled into specific pockets in communities because unlike other groups they were less likely to relocate or have the means to do so. Larkin’s observation in North Carolina was that in the wake of that first mill closing here. These new researchers agree and also find a link to income equality and segregation of the poor. Anecdotally, Joe Queenan, a conservative commentator and critic who is Caucasian and grew up very poor in Philadelphia projects, agrees. In a Rotary Magazine article entitled, “The Inconvenient Truths About Poverty,” he cautions the “industriously empathetic” and “professionally compassionate” people such as myself and many others in Durham. He would point, I’m sure, to the fact that more than half of the poor residents of Durham come from families where no one worked and all but 2% of those who did, only worked part-time. Forever waiting for a “call back” to mill work can filter down for generations. But Queenan also cautions, that this should never be interpreted that poverty is a “lifestyle choice” and gives a hint as to why poor people walked out of a session where a Durham task force was delving into poverty. Since its high of 30% in 1960, Durham’s poverty rate dropped by nearly two-thirds to barely above the state average (actually below when weighted for ethnicity,) only to bounce back up during the Great Recession again to around 19%. Weighted for differences in ethnic diversity, it really isn’t any higher than other urban areas in the state, including those nearby, but it is still vexing to Durham, long identified as an extremely “caring” community. Several times in the 26 years I’ve lived here some of the very smartest people I’ve ever known have wrestled with the problem, including many globally recognized experts at Duke who have followed in Dr. Jensen’s footsteps. Even after opponents in high office perpetually tried to starve it of funding, the War On Poverty worked wonders through the ‘60s and ‘70s and intermittently during the ‘80s and ‘90s after being gutted. But it was never enough, nor was it meant to be a panacea. Education is a piece because mobility is higher and unemployment lower among college and high school graduates than it is for dropouts. The idea was also included a year ago last spring in economist Dr. Michael Strain’s report entitled, “A New Jobs Agenda” in his report for the American Enterprise Institute, a conservative think tank. I think it was one of his better ideas. The voucher is now part of the bi-partisan American Worker Mobility Act. Dating from the late ‘60s, researchers suggested the value of mixing the unfortunate in with better off neighborhoods, but Moretti and other believe this is now more a matter of relocation to communities better matched for skill levels. He suggests the “relocation voucher” as part of the unemployment insurance safety net that was devised back in the 1930s around the time Durham’s poverty took root. It could be coupled with the federal government’s shift of job training and re-training from just the classroom to apprenticeships and on-the-job training. It isn’t clear to me if the vouchers will motivate people who are poor to move. Nearly 40% of Americans overall have never left their hometowns. But even if some won’t, the fact that others do, experts think will open up more jobs for those who stay. Durham would be hard to leave. More than 70% of native-born North Carolinians still live here, making it the second most “sticky” city in the nation according to Gallup. While we’re at it, we need to look at what the impact will be of Durham’s next economic adaptation and begin preparing residents well before its arrival.